The price of removing your tattoo will ultimately depend on its size and how many treatments it takes to reach your goal. During your free consultation, we will measure the size of your tattoo and determine the price per full treatment session. Treatment of extra small tattoos start at $70 and this price increases as the size of the tattoo gets larger. There is no extra charge for multi-colour tattoos. All prices include complimentary skin rejuvenation, a rare service currently only offered by a few clinics Australia wide. This extra service speeds up the healing process, and resurfaces and restores your skin. During your initial consultation, our specialists will determine the likely number of treatments required to completely remove your tattoo, from which we will form your maximum payment guarantee. If any ink remains after you have completed this number, we will continue to treat you for free for a period of 1 year after your last paid session. Please keep in mind that while some tattoos can take as little as 1 to 3 treatments for removal, others will often require between 5 and 10, while in more rare cases up to 15+ sessions have been documented. Our interest free plans are available for clients who would like to take the opportunity to pay by weekly, fortnightly or monthly, instalments. Starting from just $15 per week, they are a great way to budget your tattoo removal, paying them off during the time between treatments. Please ask in the clinic for us to set up up your tailored payment plan and we will happily do so. Extinkt provide a variety of everyday discount offers which are available to all clients. These include discounts for advanced payments, client referrals and a host of other options that enable customer savings of up to 10% off per session. Our specialists will outline your significant savings options during your free consultation. 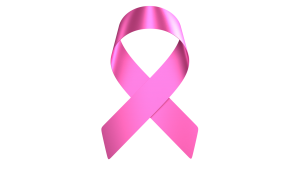 Extinkt are proud to be able to offer complimentary tattoo removal of radiation marker tattoos for breast cancer and all cancer patients. Please contact us for more information. We are also happy to provide discounts of 10% on treatments for members of all Emergency Services, nursing staff and all branches of the Australian Defence Force. We accept payments via cash, Eftpos, Visa or Mastercard. Payments cannot be made via cheque or American Express.